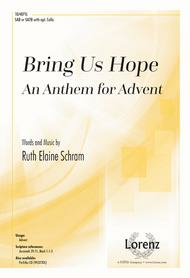 Choirs large and small will find this flexible anthem to be a tender, readily learned addition to their Advent programs. 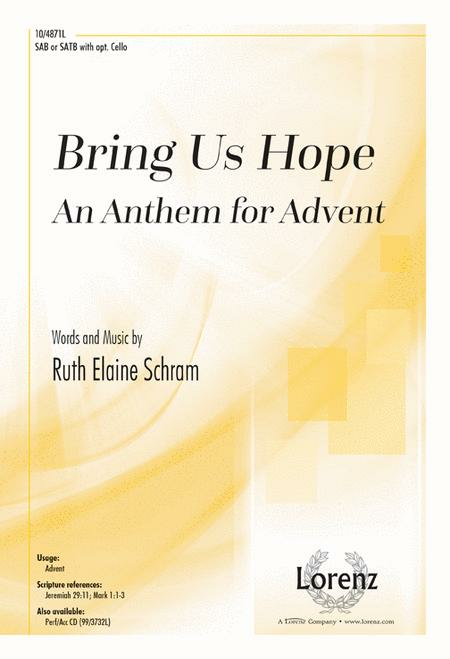 The message touches on several prominent themes, making it an ideal option to return to again and again: "Bring us hope, bring us love, bring us peace from above.". Our small choir loved it. There aren’t any large jumps, so flows easily. The score is simple and lovely. This song, a soft and simple prayer, is comforting and draws in the audience. I am so very pleased with this music. bit of light relief. Predictable melody....cello, a nice touch....just need to find a cellist!